This story is an old Turkish Tale in a new and succinct avatar. Ismat is a shoemaker who comes across as a very contented person. After having made a good sale of shoes a day before the big Muslim festival - Eid, he decides to buy special gifts for his family members. He very diligently selects just perfect gifts for everybody - his mother, his wife and his daughter. He is delighted with his purchase but then the shopkeeper convinces him that he should buy something for himself too on the auspicious occasion of Eid. Unfortunately there is only one pair of trousers left in the shop and that too a little longer for Ismat. But this is not such a big problem, a long dress can easily be shortened - by cutting it short. 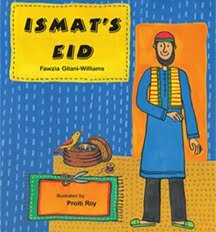 So Ismat excitedly takes all these gifts home and requests his wife to cut short his trousers to make it fit for him but since next day is Eid, she is too busy making some goodies for the festival and she urges him to ask his mother to do this job. But his mother and his daughter are equally busy too, they seem to have no time to make the trousers fit for Ismat. Ismat decides to do this cutting business himself as it isn't that big a job anyway, he cuts it short and neatly hems the edges. The day of Eid arrives, Ismat's wife, his mother and his daughter, all are ready in their new dresses. But there is a bigger surprise (or a shock? ), when Ismat goes in to wear his new trousers, what the family members hear from outside his room are Ismat's shocking screams. Can you guess what would have happened? I don’t want to spoil the surprise, let's just say that a family is truly a united family when all members think about others and do a little extra!!! to help others. They all were stunned beyond words, then they had a hearty laugh and got down together to solve the problem. What I liked about Ismat's family was their ability to laugh together, to work together and to be considerate for each other. Isn’t it what festivals try to remind us every year? This hilarious story perfectly supported with expressive spread of illustrations captures and brings out the true spirit of festivals. The brilliant drawings are by none other than the well known name behind the beauty of many interesting books like - What Should I Make, Mathematwist and Putul and the Dolphins. This book is also available in Tamil, Hindi, Kannada, Telugu, Marathi, Gujarati and Bengali. Vibha, the illustrations by Proiti Roy looks unique, isn't it? Would love to see the pages inside. Lovely choice. We have read this book, Vibha, and thoroughly enjoyed it. With squeals of laughter over the goof-ups that occur. Won't say more or it'll give away the story. Ranjani ~ Yes, perfect to bring out the festive spirit. Enjoying together. Tharini ~ Small book but offers a lot. We were all laughing while reading this one. Whenever I get a chance, will send this one to you. 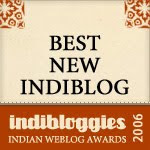 Sathish ~ They are gorgeous, aren't they. I was reading more about Proiti Roy. We are reading one more - Mathematwist illustrated by her. She has done a little bit of warli in it (but not the regular warli)The figures are empty stick drawings. Vibha, I can guess what would have happened. LOL. Like you said, the family's strength lies in its ability to take what ever happens and laugh together. Will definitely buy this book on my next trip. Sound like some wholesome fun Vibha! Families and festivals, this one cannot go wrong:) Will keep this in mind. The best part is that festivals bring the same feelings everywhere, isn't it?